FREE Radio Classes on 8th and 9th June at 7pm. 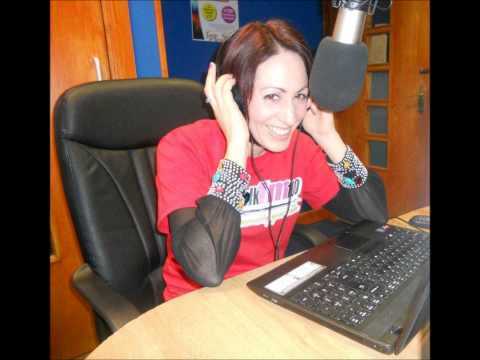 Dundalk FM are running free radio classes on Wednesday 8th and Thursday 9th June from 7.00 pm on both nights. We would especially like to talk to prospective radio reporters from Blackrock, Haggardstown, Knockbridge, Kilkerly, Kilcurry, Ravensdale and Lordship areas. Presenters Caoimhe O’ Malley and Marissa Lucchesi from the morning Current Affairs TownTalk show will be the facilitators. No need to book a place, just call in. New radio show ideas welcome. 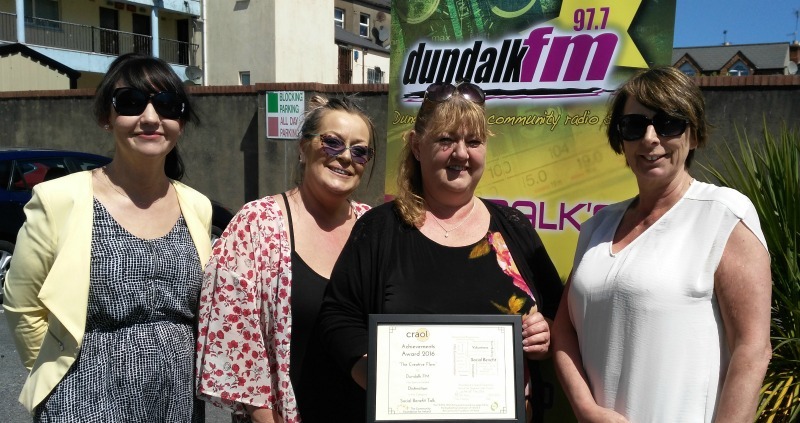 It’s a proud day for 100% Irish Radio and The Creative Flow – both winners for Dundalk FM at the Craol Achievement Awards held in the Regency Hotel on 28th May. Tracey Hanby is one of Ireland’s best known Irish Music promoters. The 100% Irish Show is a National Chart of the top Irish tunes. The judges said the show was ‘innovative, well produced, stylish and, above all else, 100% Irish!’ Tracy chooses an upcoming tune called ‘One to Watch’ which is featured on Dundalk FM each day of the week. You can tune in each Tuesday at 8pm to Tracey. Jacinta Matthews is the producer and presenter of The Creative Flow which highlights local and national writers, poets and short story writers. Jacinta also has set up a vibrant Book Club as part of the show. The judges commented on the Creative Flow as being ‘a great platform for creative writers, a very engaging programme with lots of local voices’. You can listen in at 7pm on the first Wednesday of the month or email jacinta@dundalkfm.com if you would like to take part. Vanessa Ryan, Marissa Lucchesi, Jacinta Matthews Creative Flow and Edel McMullan.